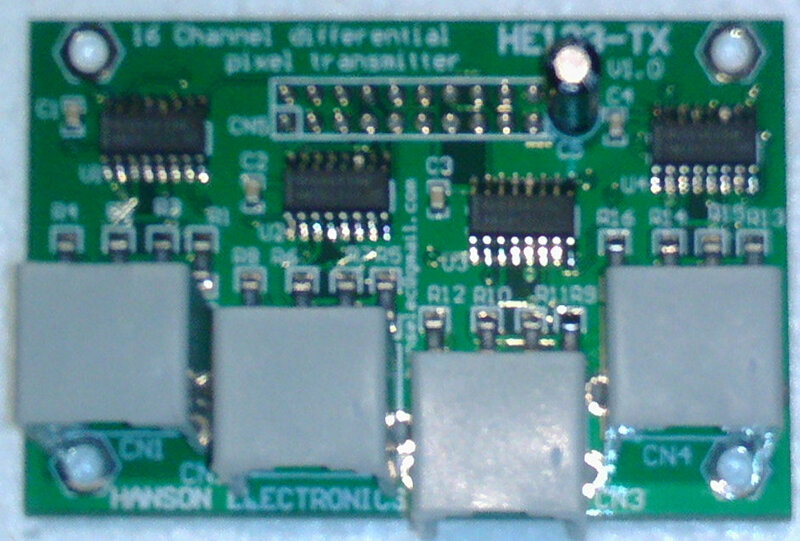 The HE123 is a pixel board based on the single board computer BeagleBone Black (BBB). 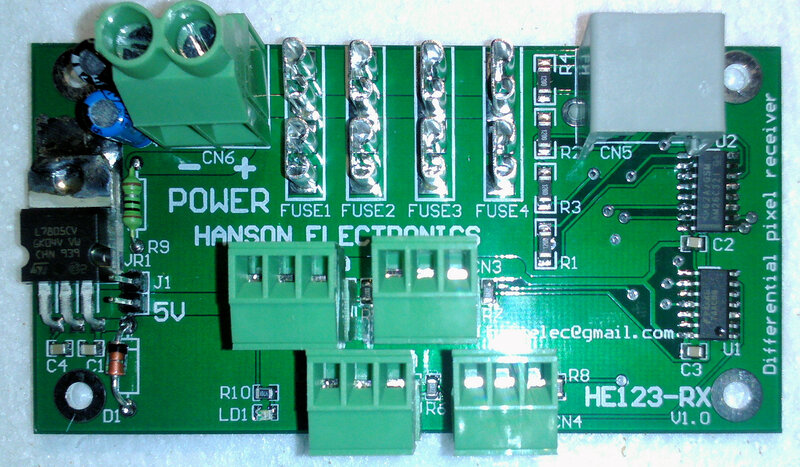 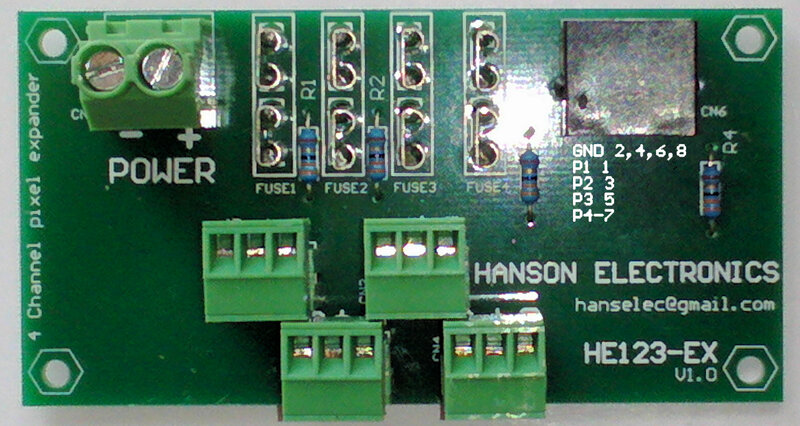 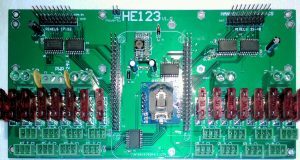 It uses design elements of the RGB123 48 output pixel board that can be controlled with Falcon Player (FPP). The HE123 is the motherboard that the BBB plugs into as well as 3 other daughter boards. 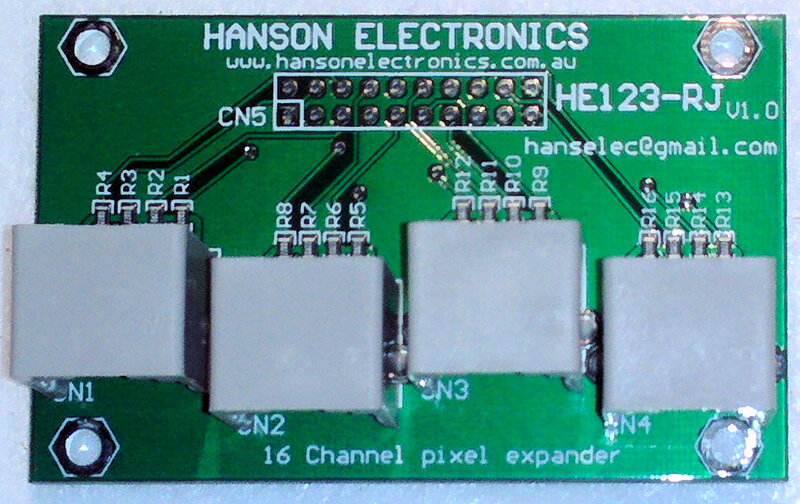 The 48 outputs are for 2811 and compatible pixels. 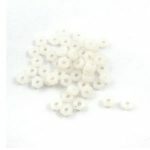 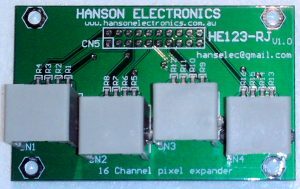 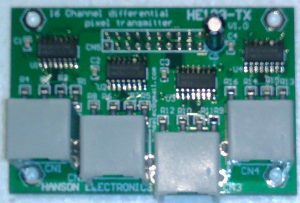 -connects to any 2811 pixel board to allow long range transmission.